The Ontario RAT Model 1 is a folding EDC knife that can withstand hard use and abuse associated with tactical or survival tasks. For the money, there might not be a better knife on that market that can match the performance of the RAT Model 1. It features an ergonomic handle with smooth action and rock-solid lockup. The four-position pocket clip allows the user to customize their carry method to their liking. We absolutely love the off-set blade from the handle, which creates a unique look we rarely see in a knife and distinguishes it from all the rest. 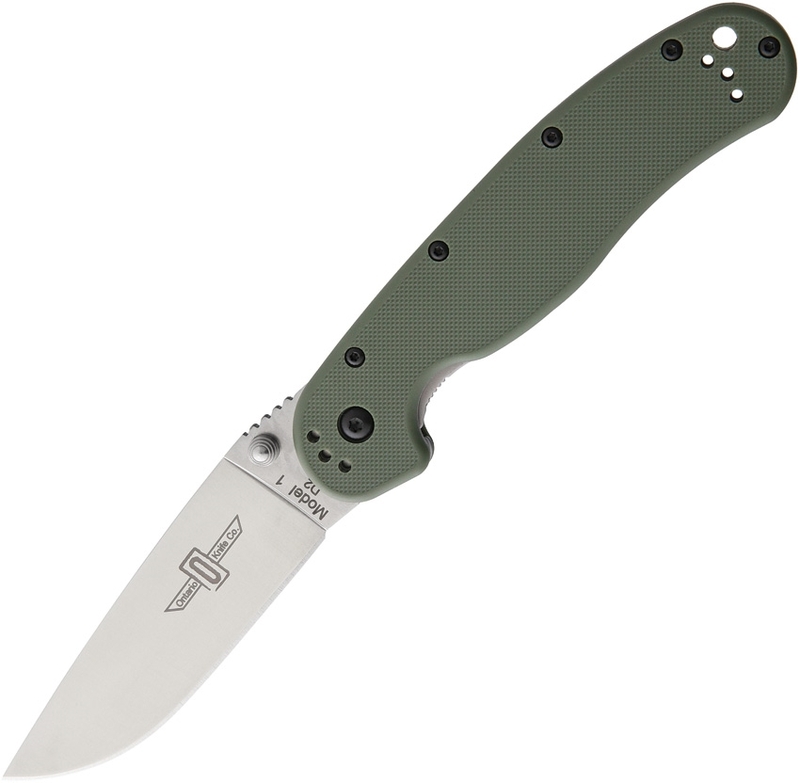 The Ontario RAT Model 1 features 3.5” satin finish D2 tool steel blade with dual thumb studs. Liner lock. Green nylon handle with reversible stainless pocket clip.